Joshua is a partner in the firm’s Professional Liability Litigation Group and Healthcare Industry Team. He represents hospitals, physicians, nurses, other providers of healthcare, and other professionals outside of the healthcare context. 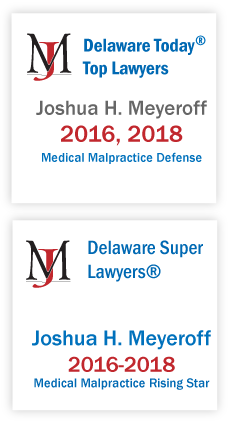 Joshua's experience includes the defense of medical malpractice claims. He is an experienced litigator, having been involved in all stages of litigation including discovery, trial and appeals. Joshua also provides guidance to clinicians and other professionals with matters before the State’s various professional and licensing boards.